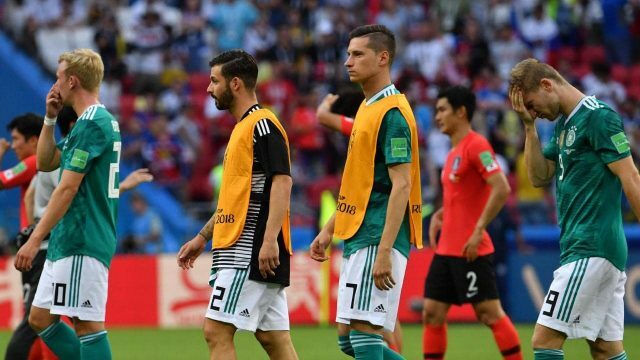 The group stage of the 2018 FIFA World Cup ended and defending champions Germany were eliminated from the tournament. The football world is guaranteed to have a new champion. Here is a recap of how the round-robin stage went. Here are in-depth highlights of the group stage of FIFA World Cup 2018. Russia and Uruguay qualified for the Round of 16. 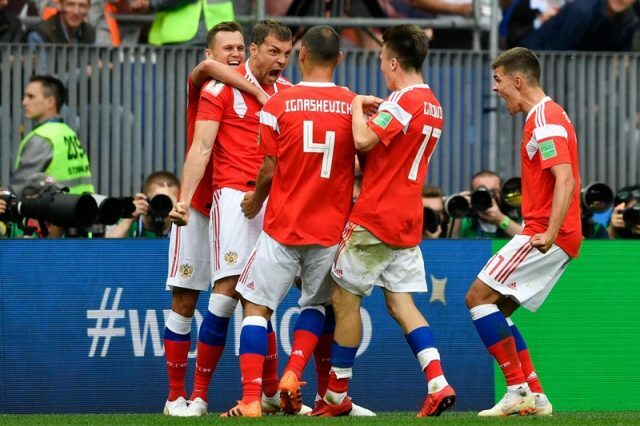 Hosts Russia made a blistering start to the competition as they trounced Saudi Arabia by 5-0. Uruguay won their first match by 1-0. Russia clinched their second victory by defeating Egypt 3-1, while Saudi Arabia were defeated 1-0 by Uruguay. Saudi Arabia beat Egypt by 2-1 and the hosts were humbled 3-0 by Uruguay. Dubbed as the “Group of Death”, European sides Portugal and Spain managed to secure their place in the next stage. 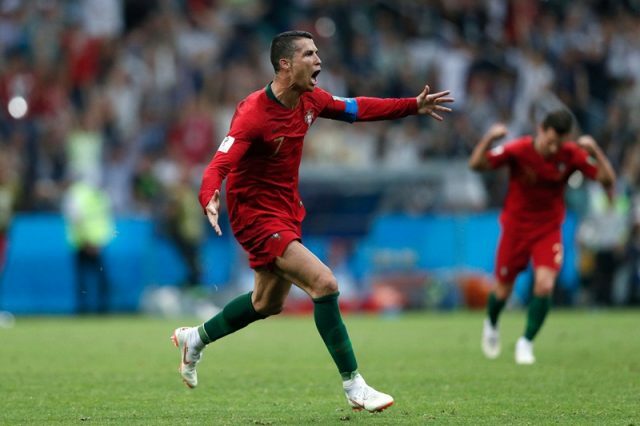 Iran defeated Morocco thanks to an own goal, while the much anticipated clash between Portugal and Spain ended in a 3-3 draw. Portugal beat Morocco 1-0 and Spain beat Iran 1-0. The fixture between Iran and Portugal ended with a scoreline of 1-1 and Morocco held Spain to a 2-2 draw. The FIFA World Cup 1998 champions France and Denmark progressed to the next stage of the competition. France started their campaign with a 2-1 win over Australia while Denmark defeated Peru 1-0. The fixture between Denmark and Australia ended in a 1-1 draw and the French side beat Peru 1-0. Australia were humbled 2-0 by Peru, while the match between Denmark and France ended in a goalless draw. The two-time champions Argentina and Croatia managed to secure their place in the Round of 16. 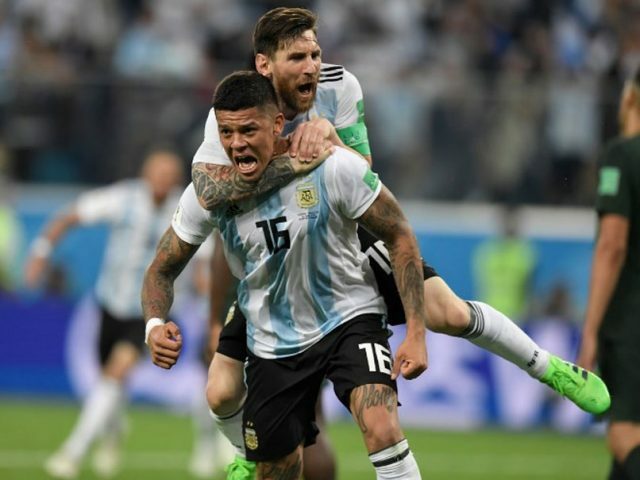 Croatia topped the group after having won all of its three matches, while Argentina finally clawed their way back into the competition in their last minute. Argentina started off with a 1-1 draw against Iceland while Croatia handed a 2-0 hammering to Nigeria. The former world champions suffered a 3-0 at the hands of the European side. Iceland were beaten 2-0 by Nigeria and Croatia beat Iceland 2-1. Argentina, needing to win their last match of the group, beat Nigeria 2-1. Brazil and Switzerland progressed to the last 16 stage of the FIFA World Cup. Serbia kicked off their campaign by defeating Costa Rica 1-0 while the game between Brazil and Switzerland ended in a 1-1 draw. 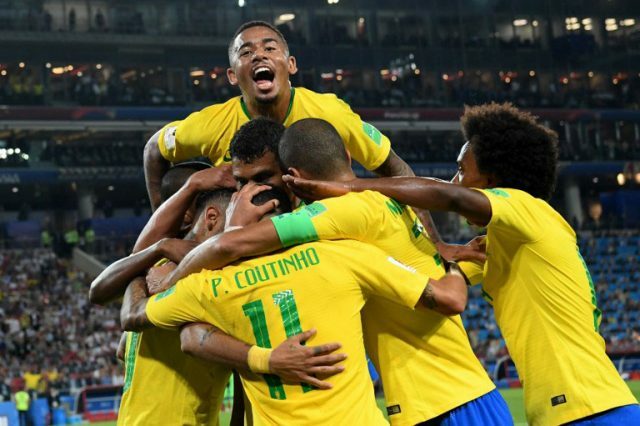 Brazil outplayed Costa Rica 2-1 while Serbia suffered a 2-1 defeat at at the hands of Switzerland. Brazil beat Serbia while the game between Costa Rica ended in a 2-2 draw. The biggest upset of the tournament came as holders Germany were struck by the “champions curse” and were eliminated in the first round. They were beaten 1-0 by Mexico while Sweden defeated South Korea 1-0. Mexico beat South Korea 1-2 and Germany edged past Sweden 2-1. 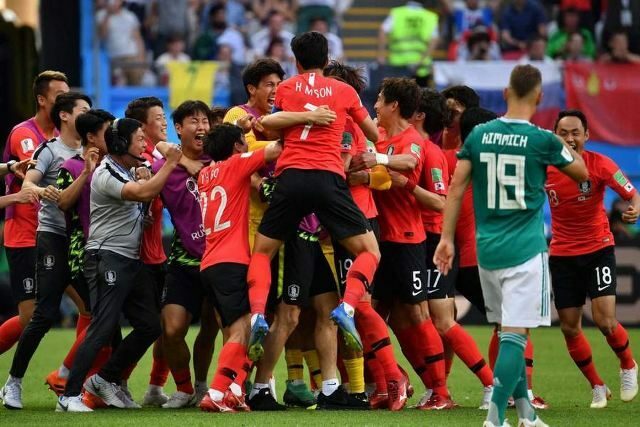 The defenders, needing a victory by at least two goals in their last game to progress, lost to South Korea 2-0, while Mexico suffered a 3-0 defeat at the hands of Sweden. Belgium and England qualified for the next round of the tournament. Belgium started their campaign with a 3-0 rout of Panama, while England beat Tunisia 2-1. The African side were trounced 5-2 by the Belgians and England hammered Panama by six goals to one. 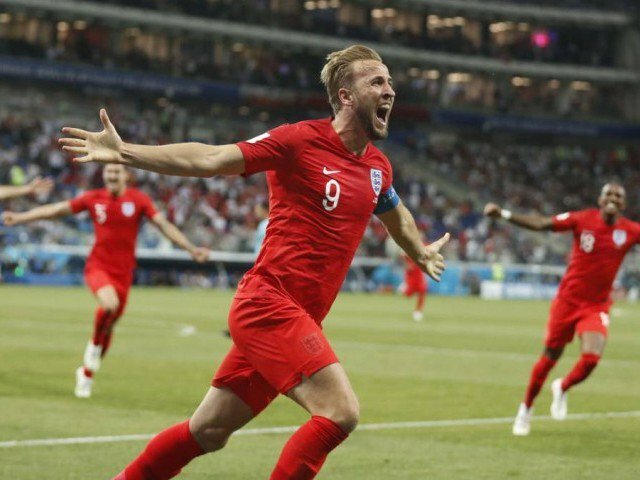 Belgium defeated England 1-0 while Tunisia secured their first World Cup win in 40 years as they beat Panama 2-1. Colombia and Japan secured their place in Round of 16. Japan started their campaign with a 2-1 win over Colombia while Senegal defeated Poland by two goals to one. The fixture between Japan and Senegal ended in a 2-2 draw while Poland were humbled 3-0 by Colombia. Poland beat Japan by 1-0 while Colombia defeated 1-0. 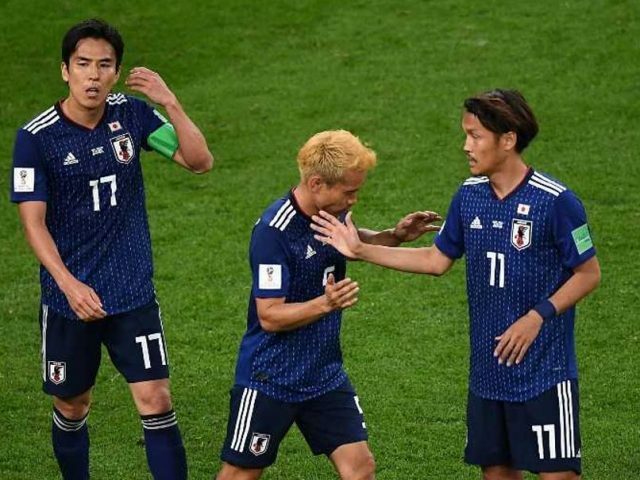 Senegal and Japan were equal on points but the Japanese side progressed due to FIFA’s newly introduced fair play system.